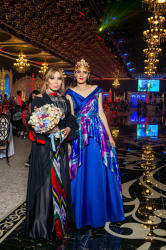 Azerbaijan's honored art worker and famous fashion designer Fakhriya Khalafova showcased unique Uzbek silks in Baku. 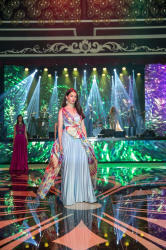 The fashion show was held as part of the concert featuring legendary musicians groups "Boney M" and "Yalla" folk band. 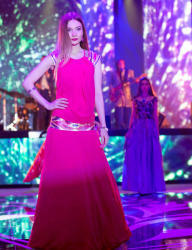 Colorful Uzbek silks aroused great interest of the guests. The defile was accompanied by the song of "Yalla" folk band in the Uzbek language. 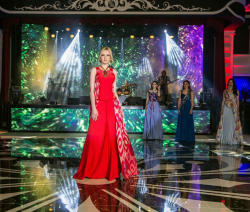 In an interview with Trend Life, Fakhriya Khalafova told about gala evening. "The legendary " Yalla " folk band is known and beloved in many countries, its music has grown more than one generation. So it is not surprising that such hits of the past as "Uchkuduk "," Shakhrisabz", "Chaykhana" and many others still please music lovers. 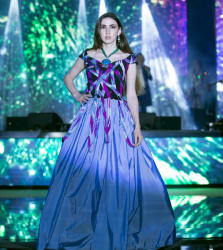 For the fashion collection, leader of the group Farukh Zakirov suggested to perform the song "Memories of Youth". 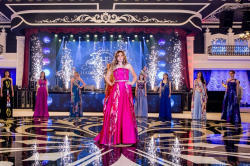 The musicians managed to create a warm and relaxed atmosphere, and Farukh Zakirov prefaced the song with a short story about the history of this collection and myvisit to Uzbekistan," she said. 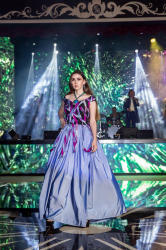 The designer said that "Yalla" folk band combines traditions and modern sounds, and this approach was in harmony with the style of the presented collection. "The concerts of "Yalla" folk band in many countries are always remembered with bright theatrical performances that take the audience to the national sources and centuries-old traditions of Uzbekistan. They demonstrate the whole rich and colorful palette of this amazing country. 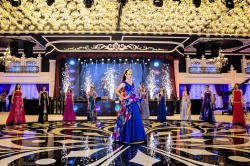 During concert programs, the creative team performs in absolutely stunning exclusive collections of costumes , with the original design of the stage and dance. We managed to combine a bright palette of the East - the harmony of music and the defile, " she added. 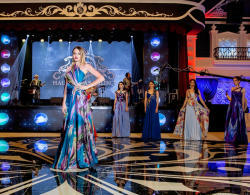 Earlier, fashion collection was successfully presented at Azerbaijan Fashion and Miss Union Fashion in Tashkent and Samarkand. Works of Khalilova's national collection can be found in Egypt, the library of Alexandria, the Cultural Center of Istanbul, and the cultural centers of various cities in the U.S. 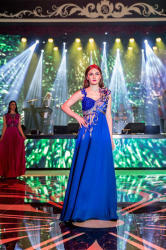 The designer, who is also an Associate Professor of the Modeling Department at Azerbaijan State University of Culture and Arts, took part in preparing the classic Azerbaijani operetta "Arshin mal alan" by famous composer Uzeyir Hajibeyli staged at the 100th anniversary of the State Theatre of Musical Comedy, where she created costumes. Last year, fashion designer was awarded with the Russian Order "Serving the Art".